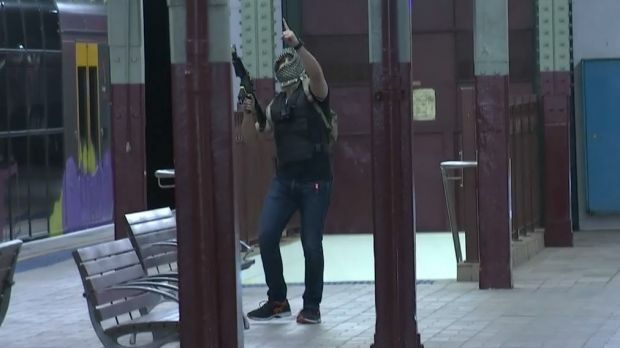 As Sydney slept, two armed “offenders” descended on Central Station, where they were met by more than 160 personnel from the NSW Police Force and emergency services.The scene formed part of an exercise through the force’s Active Armed Offender training program, conducted between 11pm and 4am overnight to test the co-ordination and response of emergency services to a terrorist incident. 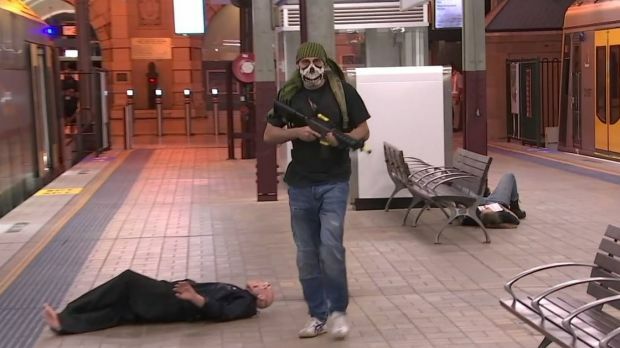 Police footage of the exercise, named Exercise Pantograph, showed the offenders clad in skeleton-print face masks and chequered head scarves. 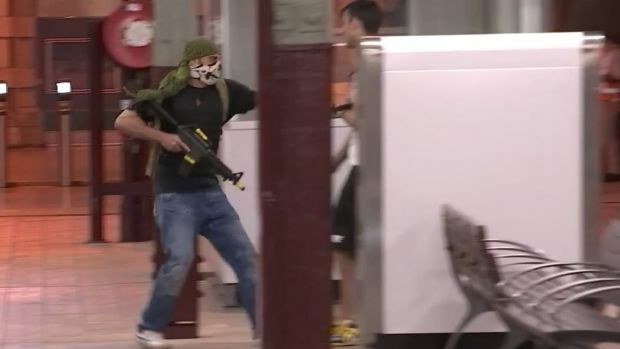 Carrying knives and semi-automatic weapons, the “offenders” arrived on the country train platform at Central Station. After boarding the train, they began attacking “commuters” who were positioned in the carriages as hostages throughout the exercise. With their hands raised on the train windows, the “hostages” created scenes reminiscent of the 2014 Lindt cafe seige. “While there was no specific threat to the transport sector, this site was chosen because it is a crowded place where numbers of people gather on a predictable basis,” said Commander of the Counter Terrorism and Special Tactics Command, Assistant Commissioner Mark Murdoch. He added that the training exercise was “more dynamic and fluid than regular police firearms training”. During the exercise the “offenders” made a number of references to Islamic State, including carrying the terrorist group’s black flag and presenting its one-fingered salute. Acknowledging the Islamist characterisation of the assailants, Assistant Commissioner Murdoch said it was not an attempt to stereotype any part of the community, but merely “reality”. “Domestically and certainly internationally there is no getting away from the fact the profile for terrorism is underpinned by an adherence to extremist Islamic ideology,” he said. Exercise Pantograph also included personnel from Transport for NSW, Fire & Rescue NSW and Ambulance NSW, and was conducted in and around the train station’s tunnels and platforms. 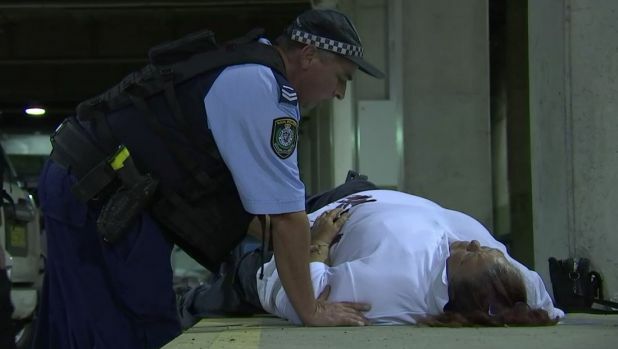 In one scene of the footage, a woman lies “bloodied” on the ground, assisted by a general duties police officer, whom Mr Murdoch said was the most likely first responder in such an incident. Assistant Commissioner Murdoch said the threat of terror in Australia was “probably greater now than it has ever been”, adding that ongoing training for high-risk incidents was vital for emergency services.